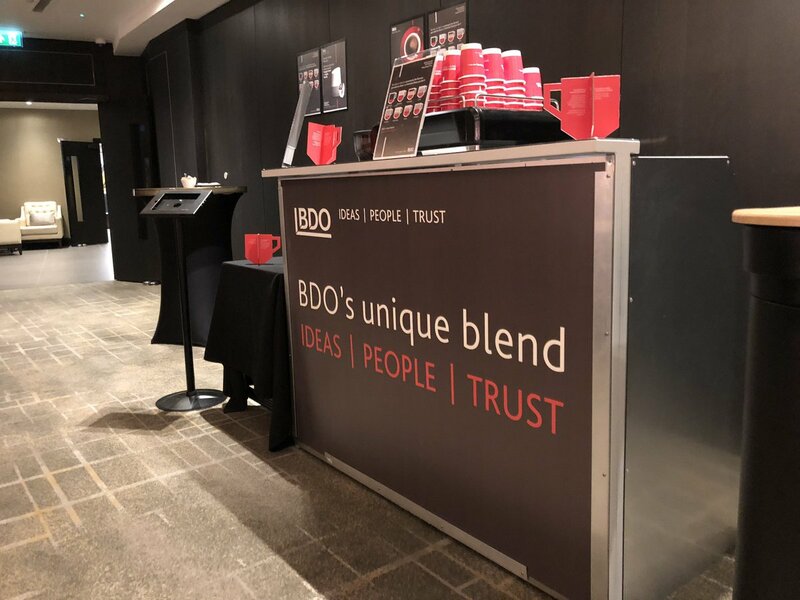 Our mobile coffee service included a pop-up mobile coffee bar, freshly ground coffee and delicious cupcakes, all branded with the BDO logo. 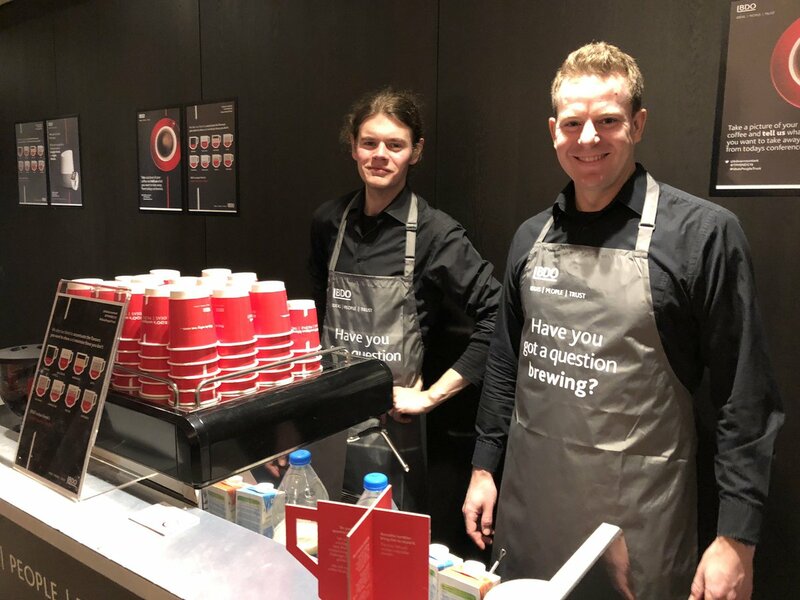 Our brief was to give a two day coffee service to attract footfall through the BDO coffee stand. We organised a variety of branding for our client – a branded coffee bar, branded cupcakes and branded aprons for our friendly baristas. We also provided a branded stencil for the BDO logo coffee art. Across the two days, we delivered 500 expectational coffees. The BDO team got to engage with all the delegates at the conference.